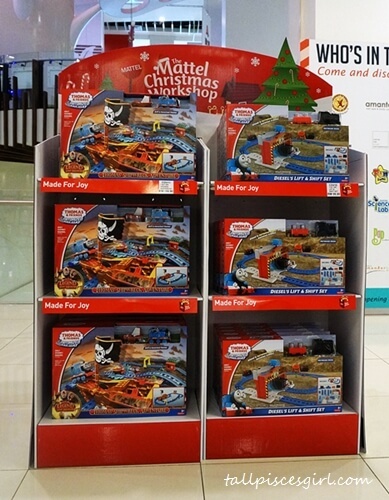 This Christmas season will be so much more happening and exhilarating as Mattel Malaysia is collaborating with The School by Jaya One to bring you the Official Thomas & Friends: Powerful Pistons Christmas Edition. 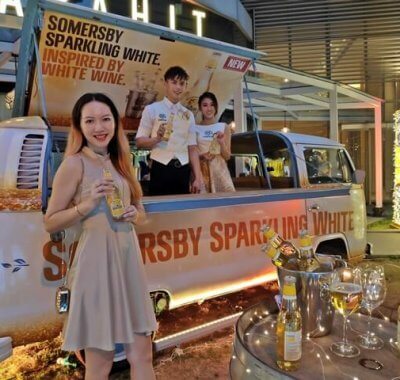 This exciting event will take place from 27th November – 31st December 2015. Therefore, it’s now time to put away you and your children’s gadgets and start reconnecting with each other. Spending quality time doing the same thing together can really strengthen your bond tremendously. 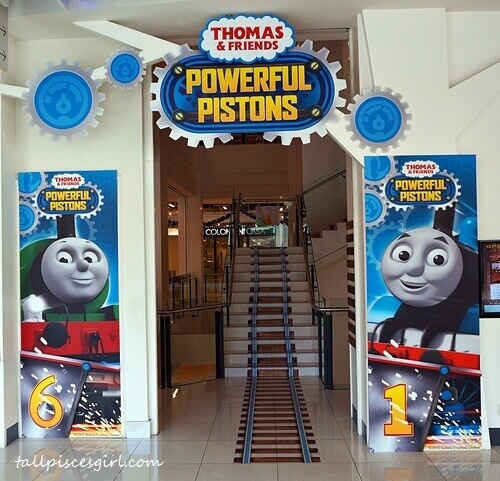 The adventure with Thomas & Friends starts here at the main entrance of The School @ Jaya One. 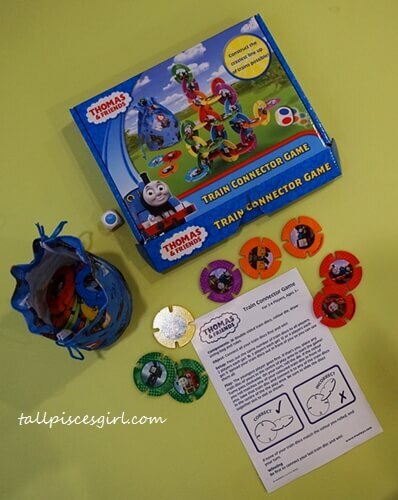 Follow the “train tracks” up and it will lead you to a play area where kids can utilize their creativity to create and build train tracks with Island of Sodor railway set. This section is totally FOC! 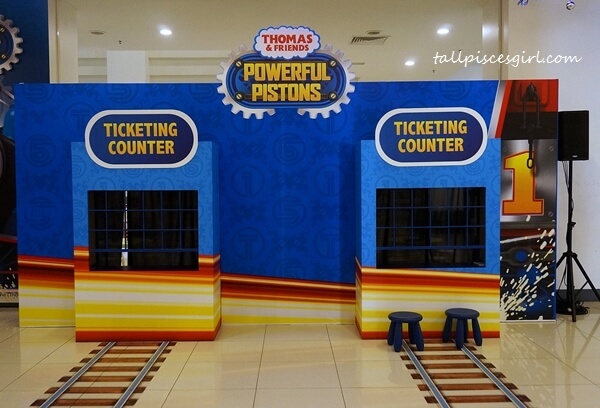 After having some fun times building railway tracks, you will see these cute ticketing counters as you descend from the staircase. The ticketing counters were built in such a way so that the kids can purchase the tickets on their own while being observed by the parents who are sitting on the stool. 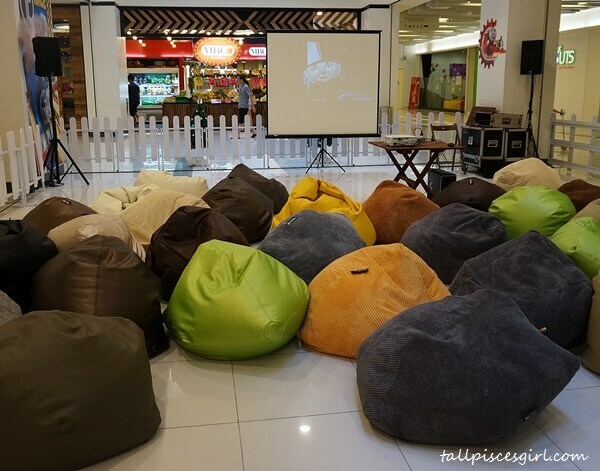 For only a minimal fee of RM15 (1 child and 1 parent), you will gain full access to Thomas Bouncy Castle, Kids Play Zone, Cinema/video playing area & Storytelling area. Extra fee of RM5 applies for an additional parent. Upon payment, the child will be given a pass that is valid for one (1) day together with a stamp on the hand. Don’t worry, re-entry is possible just in case you plan to bring your kid for a quick bite before continuing the adventure! 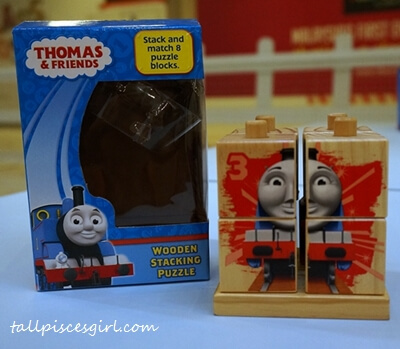 What is so special about Official Thomas & Friends: Powerful Pistons Christmas Edition is, there’s a lot of activities that are available exclusively just for this event. 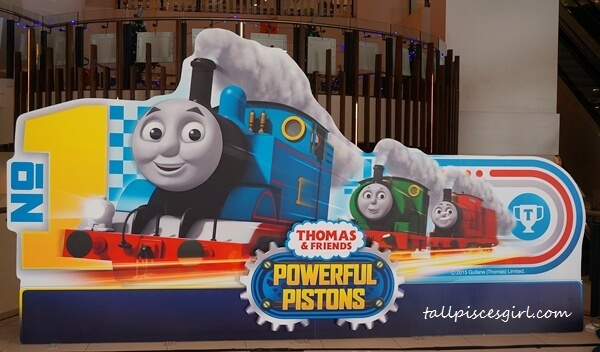 For example, there will be an exclusive preview screening of Thomas and Friends: Adventure Begins movie which is only going to be released in 2016! So proud to be the first to enjoy and watch this movie! The movie will be on loop the entire day. 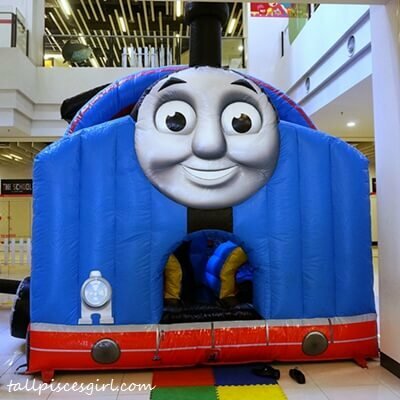 Thomas Bouncy Castle is one of the most popular attractions during this event. 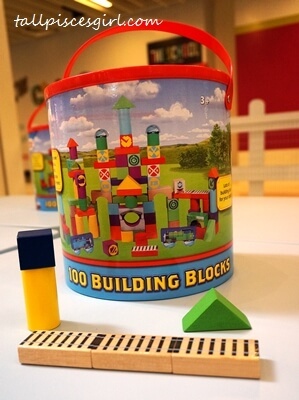 There was a girl who kept asking the staff whether she can go in and play even before the castle was fully inflated. Can you imagine the kids’ excitement? 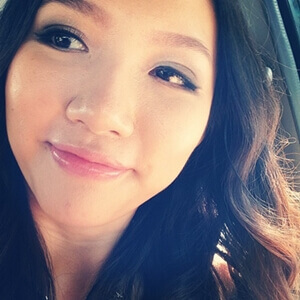 The best thing is – there’s no time limit! They get to play all they want. 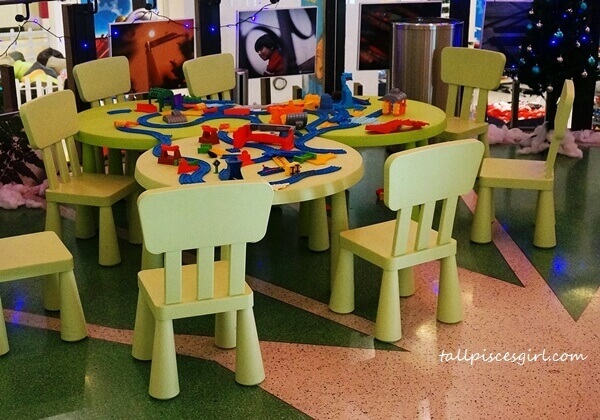 After running and jumping session, it’s time to calm down and explore Thomas & Friends Kids Play Zone. 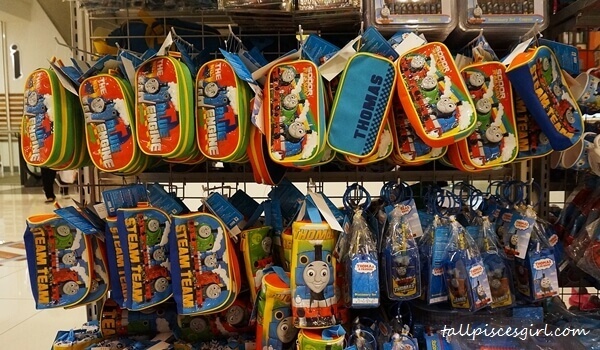 There are 6 stations and at every station, there is an imported limited edition Thomas & Friends game set that you won’t be able to buy in Malaysia. Need a snack? Simple! Just show the ticketing counter that you have ‘LIKE’ The School’s Facebook Page and you’ll receive 1 free popcorn. Available during weekend only. The fun doesn’t just end here. 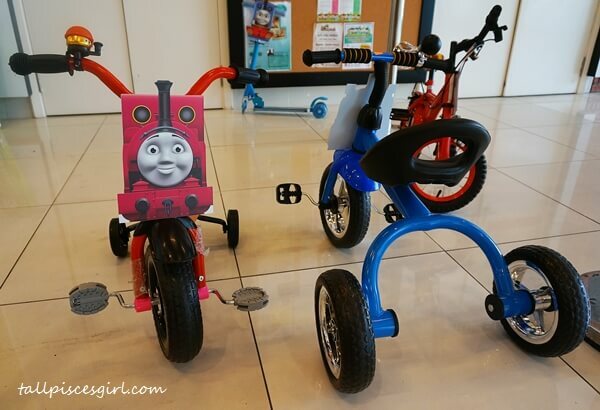 There will be exclusive Thomas & Friends bicycles available for rent at only RM5 an hour. 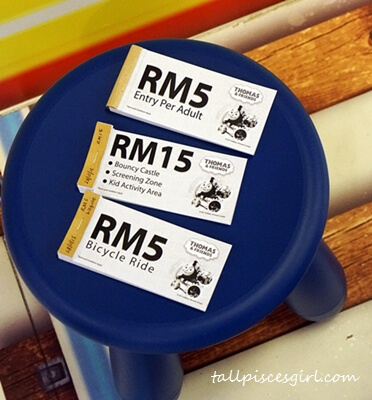 There will be an additional fee of RM5 should the duration is exceeded. In the event that all bicycles are rented out, the next child will be placed on a waiting list. As you can see from my photo, they’re quite a hit. 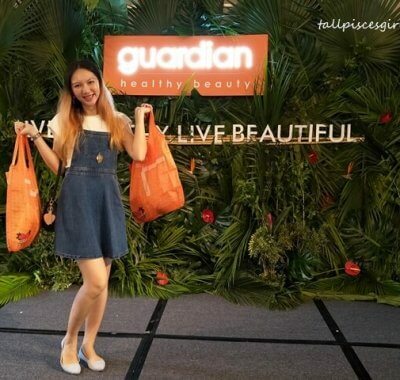 The weekend is not complete without shopping time! 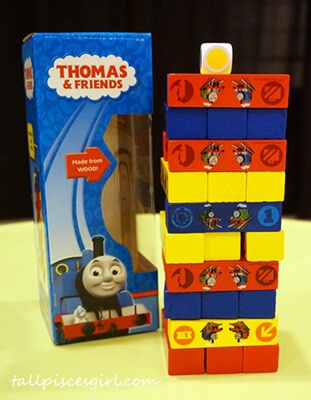 Head on to exclusive Mattel Thomas & Friends merchandise area and pick something for your kid as Christmas gift this year – it’s about time. 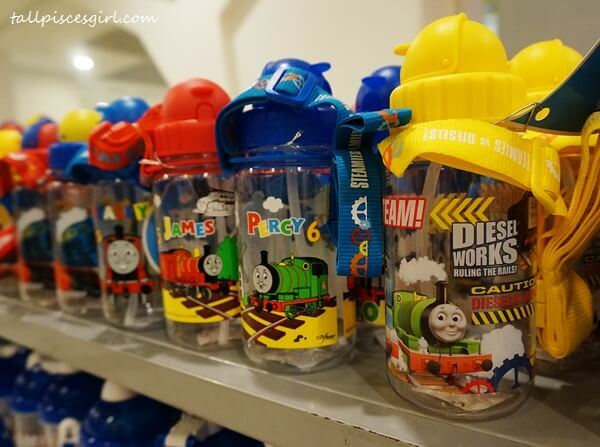 Reward them for being a great kid with limited edition Thomas & Friends toys, figurines, water bottles, pencil cases, attires and more! 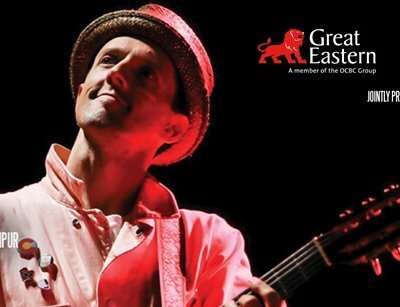 Courtesy of Dorsett Grand, you also get a chance to win free accommodation for your next getaway with beloved family!